The aquatic tree frog is a species of spikethumb frog. It is a rare and critically endangered frog only found in Mexico. Spikethumb frogs are named for the small spike that appears on their thumbs, which is called a prepollex. Since this species is in the tree frog family, it is equipped with a slender body, long legs, long toes, and sticky toe pads that help when climbing and clinging to branches and leaves. The aquatic tree frog is gray to light brown in color. As its name suggests, this species lives along rivers and lakes in moist forests, and it prefers to spend much of the time in the water. Little is known about the eating habits and reproductive behavior of this species. Other tree frog species are known to eat insects, harvestmen, and snails. The tadpoles may eat plant material. Predators may include birds, snakes, other larger frogs and amphibians such as salamanders, and small mammals. As tadpoles they may be preyed on by fish and other amphibians. 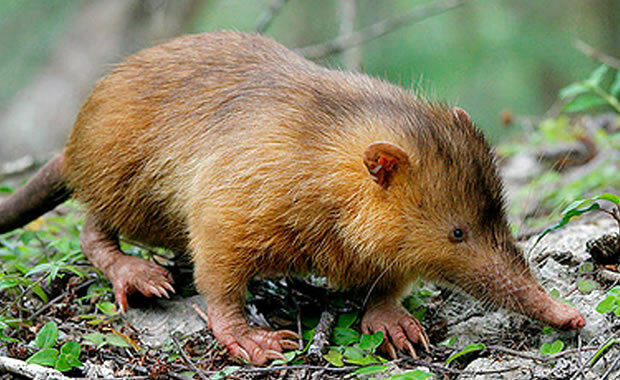 It is believed that this species inhabits and breeds in lower streams in montane cloud forests of Mexico. Most tree frog species eat only insects, but some larger species may eat small vertebrates. Some tree frogs lay their eggs in water, and other species lay their eggs on leaves of plants that hang over the water. When the tadpoles hatch they drop into the water below. In some South American tree frog species, the female carries the eggs on her back. The main threat to the species is loss of habitat due to agriculture, logging and human settlement. Some biologists believe that the Chytridiomycosis disease has also caused decline since it has been detected in other species in its genus. There are no known conservation measures in place to preserve/protect this species. Copyright Notice: This article is licensed under the GNU Free Documentation License. It uses material from the Wikipedia article "Plectrohyla crassa". Glenn, C. R. 2006. 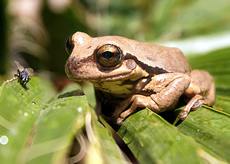 "Earth's Endangered Creatures - Aquatic Treefrog Facts" (Online). Accessed 4/20/2019 at http://earthsendangered.com/profile.asp?sp=5214&ID=9. Need more Aquatic Treefrog facts?